Lionel Dexter Samuels was born into the Yahgu ‘laanaas Raven clan in Queen Charlotte City on Haida Gwaii (formerly known as the Queen Charlotte Islands), in British Columbia, Canada in 1963. His family crest is Raven. 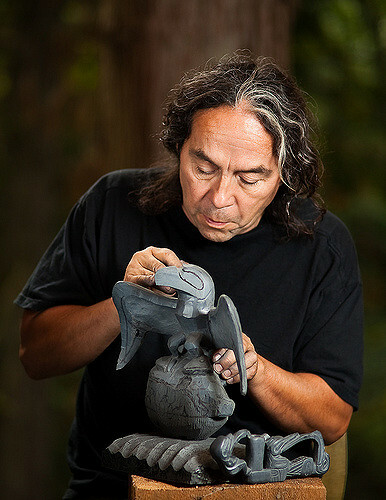 Lionel began carving with the guidance of George Yeltache when he was just seven years old. When he was twenty, he began sculpting argillite professionally and featuring his work in major galleries. Click to view argillite carvings by Lionel Samuels.